The drawback to a traditional rhinoplasty is the recovery. Rhinoplasty is a very sophisticated and complicated plastic surgery, so it is hard to avoid the subsequent healing period and associated swelling. Because rhinoplasty is so complex, revision rhinoplasty is not uncommon. In effort to avoid these risks and drawbacks, many patients opt to avoid rhinoplasty altogether, particularly if they are afraid their breathing will be compromised. The good news is that some patients can opt for a less invasive rhinoplasty approach, which requires much less downtime and recovery. If you are only bothered by the appearance of your nose tip or nostrils, you may be a candidate for Tip Rhinoplasty or nostril refinement. With Tip Rhinoplasty, your surgeon is able to leave the bone structure of the nose in tact while reshaping cartilage or removing excess cartilage at the tip of your nose. Your procedure can involve lifting the nasal tip or refining the shape, size or contour of the nostrils. It is important to know that if your aesthetic concerns are a crooked nose, large nose or a bump on the middle of the nasal bridge, you will probably need a full rhinoplasty. Also, if you have sleep apnea, a deviated septum or breathing problems, a Tip Rhinoplasty will not correct these issues. 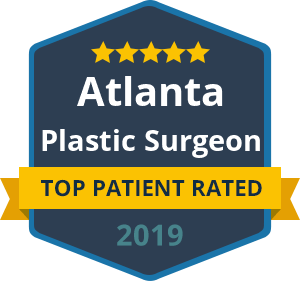 Dr. Ben Talei is an elite facial plastic surgeon who performs a full menu of rhinoplasty procedures, including nostril refinement and lightening, revision rhinoplasty, ethnic rhinoplasty, nasal reconstruction as well as non-surgical rhinoplasty.